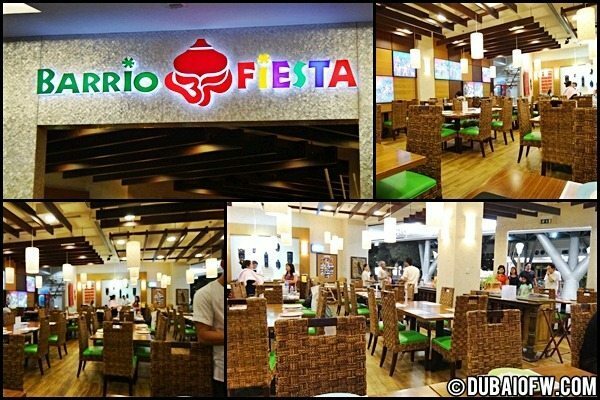 If you want to taste Filipino Food in Dubai, you can head to Barrio Fiesta in Burjuman Centre mall. We went to Barrio Fiesta to have dinner during our day off. 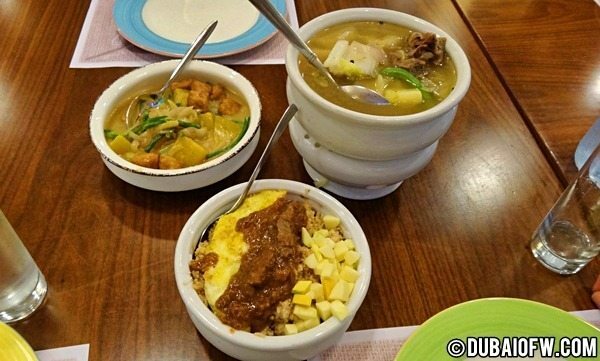 We were craving for Filipino food in Bur Dubai and the nearby mall was Burjuman Center. 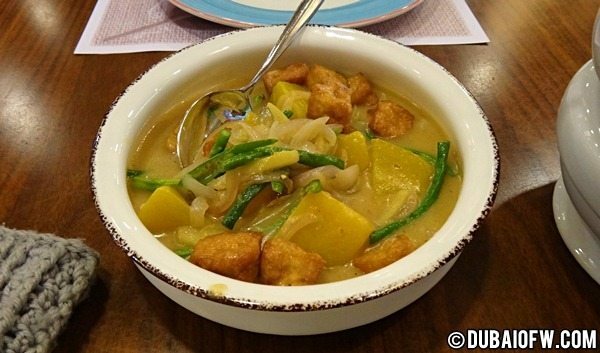 We ordered bagoong rice, ginataang sitaw and kalbasa (squash and string beans in coconut sauce) and nilagang bulalo. Although we could practically find many shops selling Pinoy dishes anywhere, we decided to head to this restaurant as this was also a long overdue visit. Bur juman mall center is a great mall. 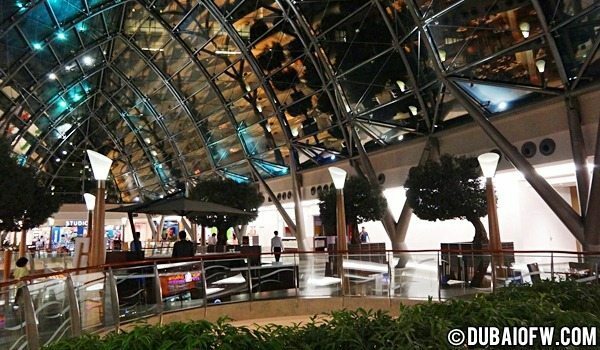 Not many people go to this place cause it looks a little posh compared to other malls. With luxury brands in being sold, it feels like it’s more for the upper class market. But I could be wrong. I could see that renovation is going on to further develop this shopping center. I wish they would put up a movie house in this side of Dubai so that watching a movie would only be a few meters away. 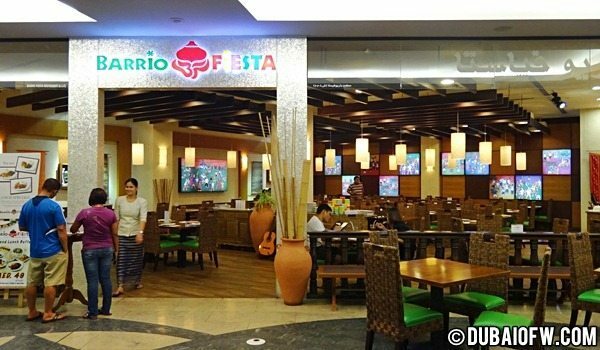 The Barrio Fiesta Restaurant in Burjuman has a festive ambiance. You can see painted photos of how Pinoys eat when there’s a celebration. Everyone gathers in a table for everyone to share in a buffet table. I’m glad we dropped by and ate in this Pinoy restaurant in Dubai. 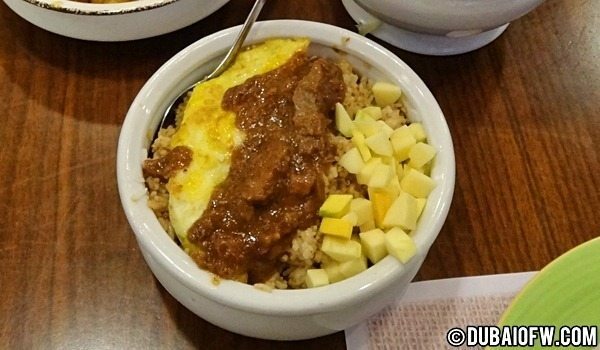 Going back to the food, we didn’t order extra rice as the bagoong rice was already enough to keep us full. 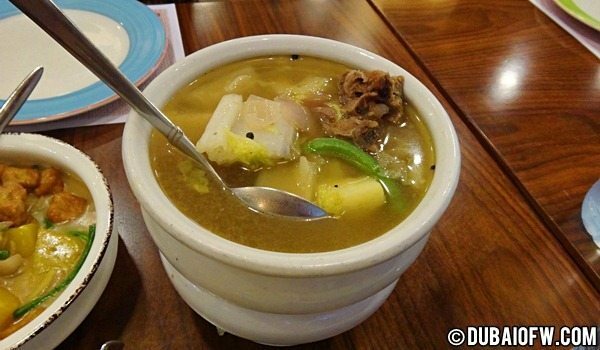 The nilagang bulalo tasted really well and the vegetables served as a great side dish to balance the meat.